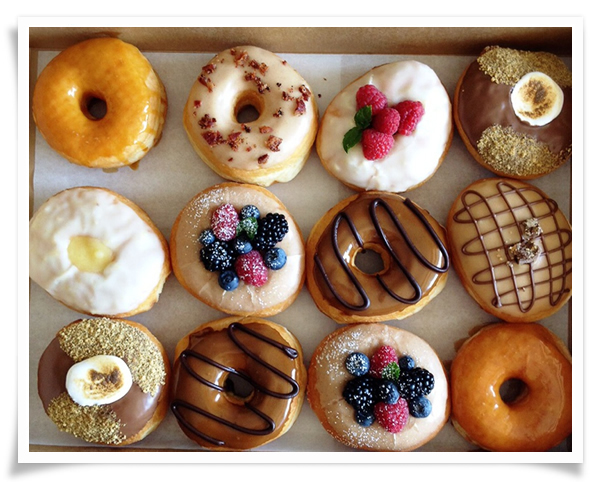 I first heard about Donut Snob through instagram (as with most everything!). I saw it on my friend's feed, and it looked so delicious, I wanted to lick my phone screen. I soon found out that Donut Snob is not a store per se, but rather a delivery operation based in Echo Park. Either you buy it at a café/coffee shop that carries it, or you order delivery for yourself. There are a handful of coffee shops that sell Donut Snob in LA area, so I decided to go to one as soon as I can. The one closest to me was Kofax, located in Hollywood. The first day off happened to be the Friday before Labor Day weekend. After lunch, I decided it would be the perfect time for me to get some. What a BIG MISTAKE that was. So that is when I decided to just order some to be delivered to my place. 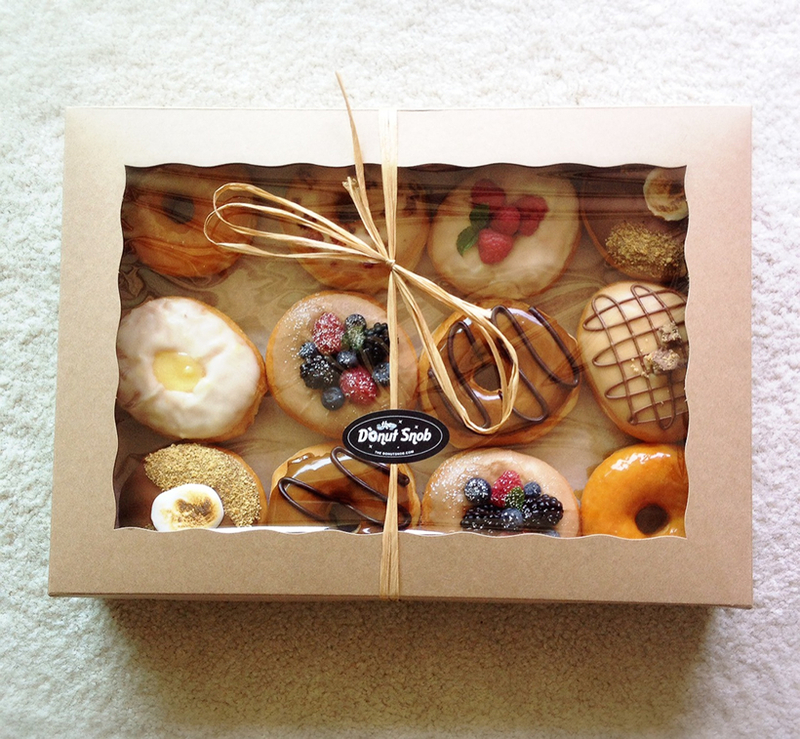 Donuts are 3 dollars each, and the minimum order is a dozen for delivery with an additional 10 dollar delivery fee. If you're good in math, I'm sure you'd realize it is 46 dollars to have a dozen donuts delivered to your home, which is A LOT for donuts. Heck, I paid $12 for a dozen donuts last time at King's Hawaiian. After some debating, the day before a family get together, I decided to order my dozen. A lady answered the phone, and was very helpful with the order. They require 1hour window, but I told them anytime between 10 am and 12 pm the next day would be fine. I ordered an assortment of flavors, and I could not wait to try them later. My hands were positively itching. I ended up trying different flavors, and my favorite was the Razzy Lemon Lulu. So yummy. I also liked the Salted Caramel and Rise&Shine. The donuts were very soft and fresh, and the flavors were distinct. Is it worth the money? I'm not sure... but I'm definitely happy I had a chance to try them. I don't think I'll be ordering again anytime soon, but I was one happy camper trying them out. Click here to go to this store's Yelp page for more info.